One year ago today, Superstorm Sandy hit the New Jersey coastline and wreaked havoc across the state. Oil supplies were severely disrupted, and Riggins Oil played a key role in responding to the crisis and keeping critical infrastructure up and running. Paul Riggins, President of Riggins Oil, spoke today on NPR about Riggins’ response and preparedness for future storms. 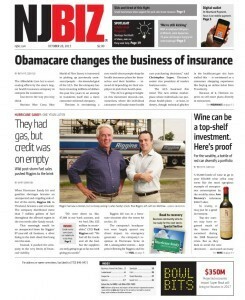 Riggins was also featured on the front page of NJBIZ magazine. Click here to read the article. Riggins Oil remains ready to respond to future disasters, and is actively working with policymakers to understand the lessons learned from Sandy. To read more about our response and lessons learned from the storm, click here to read our Superstorm Sandy After Action Report. Need Help Complying with New Jersey A/B Operator Regulations?